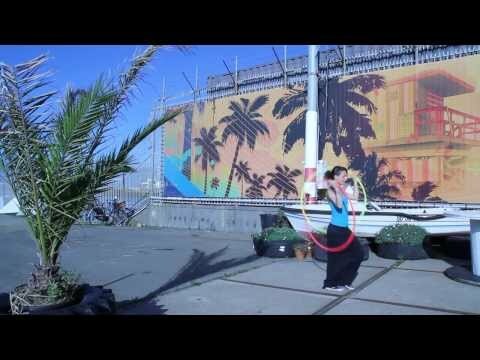 Our instructor Mirjam Douma demonstrating how you Hoop! Want to learn the same skills, sign up for our Hopp Dance course! Hooping is very old. Childeren in Egypt already made hoops around 1000 B.C. Much later the hoops became attributes in circusses and carnivals. In the Sixties the hoops made a come back, both in the US as in then Netherlands. After an hour of Hoopdance you'll have cleared your head and your body will bubble. Hoopdance is, like any other for of dance or art, a way to express yourself. But it also improves your health and endurance. Hoopdancing is both exhausting and relaxing. And because you can put your focus on something different each training, it's also really diversive!